Shelborne Development Corp. has announced Shannon Morgan as chief development officer. In her new role, Morgan will lead predevelopment, financing, and development activities for the company’s mixed-use real estate projects in Michigan. 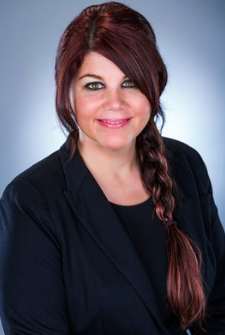 Morgan comes from serving as senior vice president for Home Renewal Systems, where she worked directly with Bernie Glieberman to create and establish Home Renewal Systems LLC, concentrating on the implementation of HUD’s Neighborhood Stabilization Program in Michigan and Ohio. Morgan managed federally funded projects in 18 municipalities and other housing projects including affordable housing, trust disposition, land banking, historic preservation, and mixed-use and production housing developments. The company also restructured its leadership. Founder Makino-Leipsitz became president, and partner Jill Ferrari will serve as CEO. Additionally, the company and its related construction company, Motor City Building Company, will launch new websites and social media campaigns in April. Also created is a new entity that will focus on affordable housing projects in distressed areas and pursue Low-Income Housing Tax Credit projects primarily in Michigan. A mission-driven organization, Shelborne Development Corp. is committed to inclusive neighborhood revitalization that includes economic development programming, rehabilitation of historic assets, and quality affordable housing.